Henry "Hank" VanderJagt, of Cadillac, passed away on Sunday, December 2, 2018 at the Munson Healthcare Cadillac Hospital. He was 91. Hank was born on May 31, 1927 to Bert and Christina (Grashuis) VanderJagt at Mercy Hospital in Cadillac, Michigan. He grew up on the family farm in southern Michigan. Hank enlisted in the U.S. Air Force and served as corporal during World War II, where he received a World War II Victory Medal and an Army of Occupation Medal Japan. 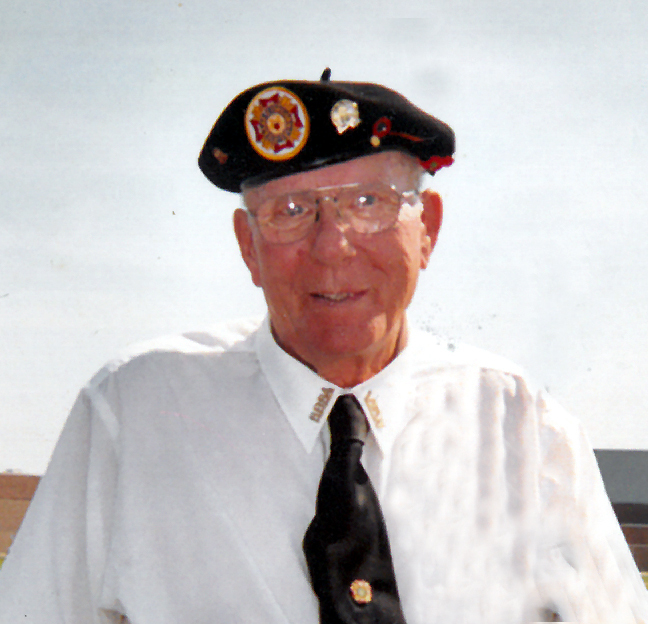 He was a proud member of the Cadillac Area Honor Guard and volunteered as Chaplain for many years. Hank was also a lifetime member of the American Legion, AmVets and the VFW in Cadillac. He spent his career working for Borg Warner, formerly Kysor Corp., for 34 years until his time of retirement. Hank enjoyed snowmobiling, motorcycling, dancing and listening to music. He cherished the time spent with his family, especially his grandchildren and great-grandchildren. Hank will be remembered by his family and friends for being "finer than frog hair". Hank is survived by his loving wife of 38 years, Dorla VanderJagt; children, Christine (John) Kelly, Steve (Kerrie) VanderJagt, Karen (Brent) Kemmer and Dave VanderJagt; step-children, Sally Musolff and Greg Longstreet; 7 grandchildren; 11 great-grandchildren; sisters, Jeanne VanderMolen and Joan Blystone; brother, Dean (Darlene) VanderJagt; and many other loving family members and friends. A memorial service will be conducted on Tuesday, December 11, 2018 at 1 p.m. with visitation held one hour prior at Hitesman-Holdship Funeral Home. Chaplain Jim Helmboldt, of the Cadillac Area Honor Guard, will preside. Military honors will be presented by the Cadillac Area Honor Guard. Interment will take place at Maple Hill Cemetery in the spring. In lieu of flowers, memorial contributions may be directed to the Cadillac Area Honor Guard or the Cadillac Congregational Church.